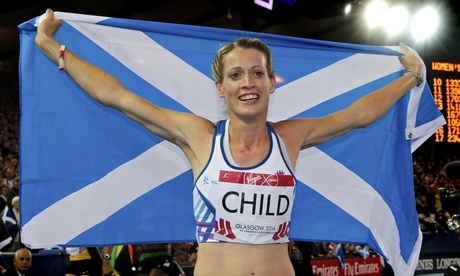 Eilidh Child took silver in the 400m hurdles on Thursday night. A standing ovation of 40,000 clapped and stamped her around her victory lap after the poster girl for this games won a second Commonwealth medal to add to the one she took in Delhi four years ago. It was not the gold she had hoped for and so Scotlandâ€™s 20-year wait for that particular metal goes on. But it was the high point of a great night for the home nationsâ€™ women and for a crowd who have proven themselves more than generously inclined towards their southerly neighbours. Childâ€™s race had always been going to be the main show but the dramatic entrance of young English talent stole several scenes and brought medals galore. 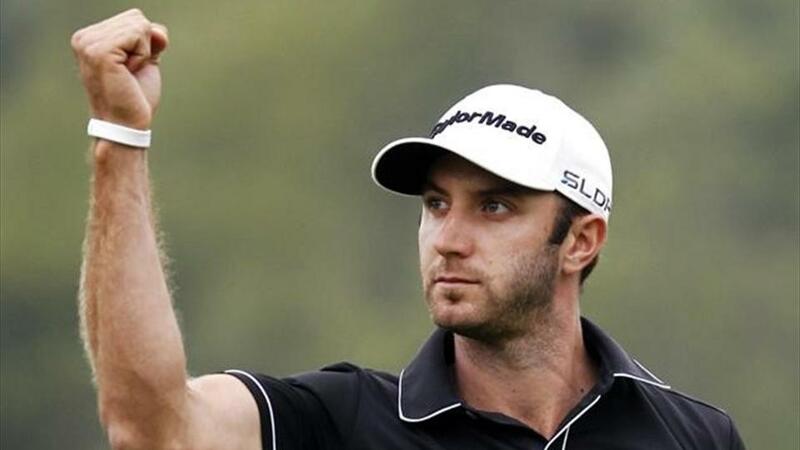 Dustin Johnson is taking a leave of absence from golf to seek help for “personal challenges,” the big-hitting American said. Johnson, who finished in a tie for ninth at the British Open earlier this month before missing the cut at the Canadian Open last week, did not say when he plans to return to the tour. “I will use this time to seek professional help for personal challenges I have faced,” Johnson, an eight-times winner on the PGA Tour who is ranked 16th in the world, said in a statement issued by his management company. Johnson, 30, considered one of the top players in the game, stands fourth in the PGA Tour’s FedExCup points list and fifth in the U.S. Ryder Cup standings. There have been many fine athletes at these Commonwealth Games, and many fine races too. But nothing like this: the two best 800m athletes of their generation thrashing it out in the final straight, the outcome in doubt until the last metres when Botswanaâ€™s Nijel Amos finally downed the Olympic and world record holder, David Rudisha. No wonder the Hampden roar lingered. But defeat did not diminish Rudisha. Quite the opposite. 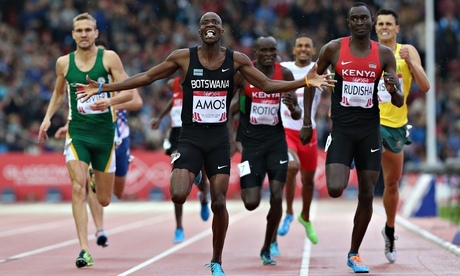 He hugged Amos, and told him â€œWell done my brotherâ€ before going on a lap of honour with his Kenyan team-mates. If there was disappointment, it was well disguised, smiling at the crowd as he received a standing ovation. There were echoes of a swollen Muhammad Ali after his first professional defeat to Joe Frazier, winking at the hundreds of fans that had converged on his hotel, determined to show light on his darkest day. The bruises last night were to Rudishaâ€™s record not his face. But like Ali he will be back. 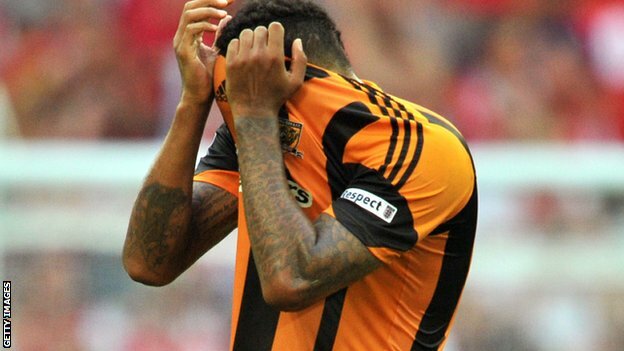 Tom Huddlestone had a penalty saved as Hull City drew against AS Trencin in Slovakia on their European debut. The Tigers joined the Europa League third qualifying round after finishing runners-up in the FA Cup and were pushed all the way by the hosts. But they will be disappointed not to have won the first leg with Huddlestone compounding his penalty miss by hitting the crossbar with the rebound. The second leg will be played at Hull’s KC Stadium on Thursday, 7 August. Hull, celebrating their 110th anniversary this year, had never qualified for European competition before reaching last season’s FA Cup final,which they lost 3-2 to Arsenal. In order to qualify for the group stages, they will now have to beat Trencin at home – and then win the play-off round. Steve Bruce picked a strong team, with three at the back, and they started well in Zilina’s Stadion Pod Dubnom, 50 miles from Trencin’s stadium, which does not meet Uefa requirements. England gymnasts Max Whitlock and Claudia Fragapane both won their third Commonwealth Games gold medals with individual final success. After taking gold in the all-round and team competitions, Whitlock, 21, won the men’s floor final and Fragapane, 16, the vault. Whitlock added a silver from the pommel horse final which was won by Scotland’s Daniel Keatings with Louis Smith third. Rebecca Downie took her second gold of the Games, winning on the uneven bars. It was not the gold she was hoping for but Emma Pooley said she was â€œthrilledâ€ to have bowed out of her final competitive time trial with silver at the Commonwealth Games, paying tribute afterwards to those who have supported her through a career in which she was a consistent force both on and off the bike. 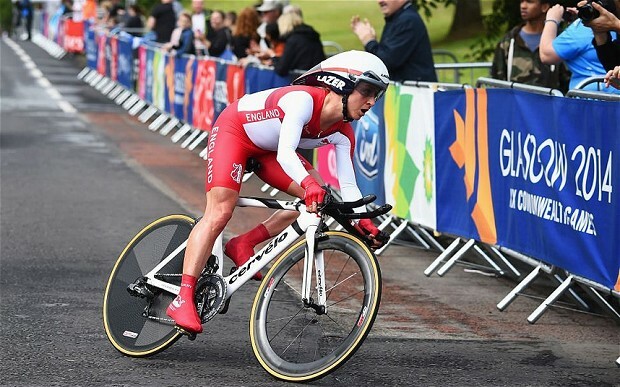 The 31-year-old, who retires after Sundayâ€™s road race to focus on triathlons and other endurance events, was pipped, agonisingly, by New Zealandâ€™s Danish-born rider Linda Villumsen on a damp Glasgow course. Australiaâ€™s Katrin Garfoot took the bronze. Villumsen was nine seconds behind Pooley at the final time check but managed to finish six seconds ahead. The Englishwoman, though, said she had no regrets. A Thai consortium is to invest in Reading after chairman Sir John Madejski confirmed the deal. 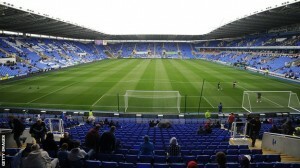 Madejski said he had agreed a “partnership” with the group, led by 76-year-old businesswoman Khunying Sasima Srivikorn. The formalities of the deal are still to be completed. Reading have been trying to find a buyer since last October and majority shareholder Anton Zingarevich stood down from the board in June. Khunying Sasima told the club website: “I am absolutely delighted to be entering into this partnership with Sir John, and working with a club with such a strong reputation. Alex Dowsett admitted missing out on the Tour de France spurred him on to Commonwealth gold in the individual time trial, following a courageous display born out of â€œanger and disappointmentâ€ from the England rider. Dowsett clocked 47min 41.78sec over the 38.4km course on the roads of Glasgow to take gold ahead of the Australian Rohan Dennis and Walesâ€™s Geraint Thomas, just weeks after being omitted from the Tour by Movistar owing to illness. The 25-year-old was forced to produce a stunning finish after trailing Dennis by more than five seconds with 6km remaining but he overturned the deficit in remarkable fashion and his margin of victory was, in the end, comfortable at 9.30sec. 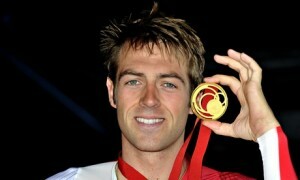 â€œI had a point to prove to myself, I know I was worthy of that Tour place, I was unlucky when I got ill,â€ said Dowsett, who won silver in this event at Delhi 2010. â€œI donâ€™t hold anything against my team for not taking me. If I was my team manager I wouldâ€™ve probably not taken me as well. Rose, 24, has made 38 Premier League appearances for Spurs sincejoining from Leeds in 2007 and was part of the GB squad at the London 2012 Olympics. Alastair Cook says the 266-run win over India in the third Test has prevented the pressure on him to resign as England captain from coming to a head. 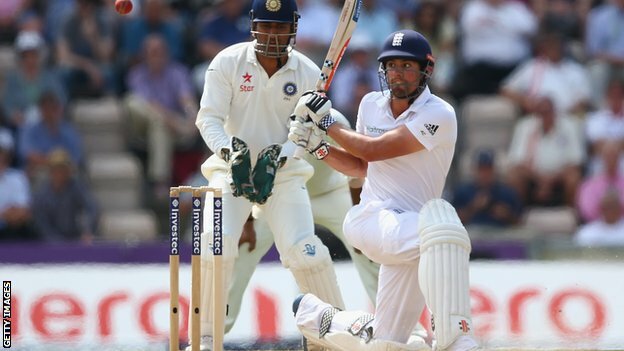 Both Cook and England had suffered a year-long run of poor form, but his innings of 95 and 70 not out helped them end a 10-match winless run. “It was getting to a crux situation,” said Cook, who had averaged 22.10 with the bat over the previous 10 Tests. England, who have named an unchanged squad for the fourth Test at Old Trafford next Thursday, had not won since the fourth Test against Australia in August 2013, during which time they had lost seven of the 10 Tests they played.